While diabetes affects nearly every part of the body, one part that often goes inadequately treated is the feet. Diabetes causes reduced blood circulation (proper blood circulation is critical because it is how all parts of the body are supplied with nutrients and antibodies that protect against infection). This may lengthen healing time with the possibility of the wound never completely healing (if not properly treated). When a sore develops on the foot, and poor circulation is a factor, the sores become worse. Poor circulation leads to the gradual breakdown of the nerves in the feet and other extremities of the body (peripheral nerves), a condition called "neuropathy". Neuropathy is usually described as a numb or tingling sensation and can be extremely uncomfortable. Sores and other injuries to the feet may go unnoticed and untreated mostly because we don’t notice there is a problem or injury because we simply can’t feel it. 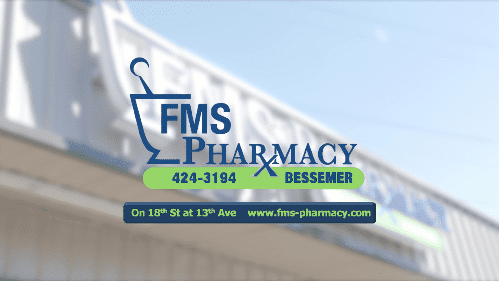 Depending on your individual needs and lifestyle, our pharmacists and trained staff will provide you with a custom shoe and/or shoe insert fitting that will allow us to order uniquely designed for you. Diabetic shoes are specially designed to allow for extra width and depth to prevent tightness that can result in even poorer blood circulation to the feet. These shoes are also very lightweight and comfortable so that you are free to be as active as possible. Diabetic socks are equally important in properly caring for your feet. These socks are designed with you in mind – everything from how they fit, how much pressure they allow for, and the material they are made of is all combined into a highly specialized sock that helps prevent the growth of bacteria that may lead to infection while increasing circulation and providing you with comfortable feet every day. **In order for diabetic footwear to be covered by Medicare, you must see your healthcare provider for a diabetic shoe prescription; simply bring in the prescription and let us take care of the rest! Medicare currently pays 100% for one pair of diabetic shoes each year. If you have not seen your physician for a shoe prescription; don't worry! We are more than happy to contact your physician and request the necessary documentation. We can still begin the process of custom shoe fitting and have your shoes ordered quickly!